I have recently entered the world of the QuadCopter. I started reading about them late last year, starting with a review of the threat they seemed to pose to aviation – but quickly focussing on the potential future of this incredible versatile and developing platform. I had recently moved on from a Management Position at my airline, which served to increase the amount of spare time I had available, as well as my income (don’t ask). I started with a couple of small (almost-but-not-quite-completely) indoor models (see Syma X5C ), the first of which was quite small and had no camera facility; the second came with a camera that recorded 2MP video onto an onboard SD card (which never worked); the last linked to my smart phone and streamed low quality video. The kids and I flew them around the house and the backyard, increasing in skill an familiarity until eventually culminating in “Game of Drones” where Fin and I would see if we could fly them into each other at the local park. These drones came with small LiPo batteries each of which gave about 7 minutes of flight time. All three came will full scale remote controls that allow three axis control based on the inbuilt gyro stabilisation. They were a lot of fun, and a good start. Syma X5C Quadcopter... a good start. 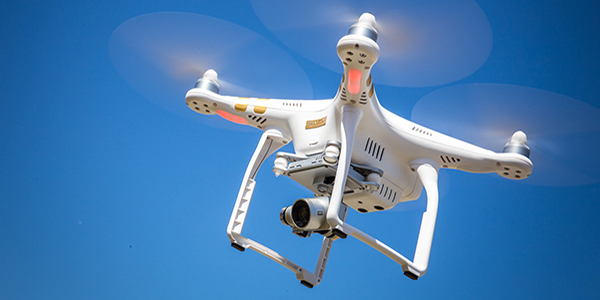 After further review I eventually purchased the DJI Phantom 3, which seems now to be the face of every negative drone incident in popular media. This was no small purchase, but measured against the 3DR Solo (something of a paper aircraft at the time) and the DJI Inspire 1 (the expense of which I couldn’t justify, no matter how hard I tried) it was a bargain. Fortunately I managed to stretch my saved downroute allowances for the purchase. At the time the big decision was between the Phantom 3 Professional, and the Phantom 3 Advanced models. While there are more complex comparisons online, focussing mostly on the differing camera capabilities other online resources, for me it came down to the following two factors. I figured 4K would future proof me. I have no device that can reliably show 4K, and after some initial experimentation I’ve kept my footage down at 1080/60fps. The files sizes are far more realistic and the post processing far easier to manage. There are some advantages to 4K. You can extract single frames which come though as damn good frames for pictures taken from video; neither the P3P or the P3A can take it’s excellent photos while shooting video, hence the ability to extract a 4K frame from video is something to have. Additionally, I’m led to believe (as yet unverified) that you can achieve better depth of color of 1080P footage from downsampled/transcoded 4K captures. For the moment – I’m unlikely to take or use 4K footage… but the option remains. The Professional comes with a higher 100W charger (as opposed to the Advance 57W charger) which results in quicker charge times for your LiPo batteries. If there’s one thing I learned from flying multiple quads around with the kids on the back of 7min LiPo batteries – charge time can be important. In any event, I went with the Phantom 3 Professional. Since then I’ve been flying on most weekends, and once I purchased a backpack, I started carting it with me to Brisbane and Los Angeles. After 135 flights, 150 kilometers and 15 hours, I’m starting to get a handle on it. This has included flying it into a tree, and doing it some serious damage (more on that later). Accompanying my “hobby” has been some additional purchases in the area of accessories, which I’ll also get into later on. Today I mixed footage from a recent excursion to a nearby Canola field with some very elementary iMovie skills and made the following video. Note that YouTube seems to utilise a compression algorithm that introduced artifacts into the content. The original (running on my iPad) is quite simply stunning. Your video into is the cheesiest thing I’ve ever seen on YouTube. I respectfully ask, on behalf of, well, everybody – to recut it. Don’t think I missed your production designer – God.